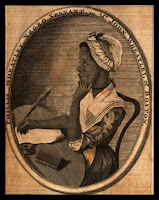 Poet Honorée Jeffers recently published a series of 6 poems focusing on Phillis Wheatley on the online publication Common-place. Since I started following Jeffers’s blog Phillis Remastered a while back, I waited and wondered how she might concentrate on Wheatley. Given my ongoing work on persona poems, I’m pleased to see that Jeffers adopts various persona to explore aspects of Wheatley’s life. 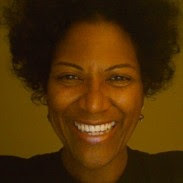 A broad range of black poets have utilized persona as a mode of writing to access the first-person perspectives of slaves and ex-slaves. Langston Hughes, Robert Hayden, Dudley Randall, Margaret Walker, and Lucille Clifton to name a few, have all written from the perspectives of slaves. In recent decades, African American poets have done entire volumes or extended series of poems highlighting the inner thoughts of historically significant black figures or types. Off the top of my head, I’m thinking about volumes by folks like Rita Dove, Cornelius Eady, Tyehimba Jess, and Frank X. Walker. Now, Jeffers is adding to the mix in creative ways, and providing us with new opportunities to consider Phillis Wheatley. On Common-place, you can also check read Jeffers’s statement of poetic research "Phillis Wheatley's Word" about how she approached her research and poems on Wheatley. Jeffers had first encountered Wheatley’s poetry during her undergrad years, and she returned to the poet’s writings years later with a greater appreciation for her artistic talents. I’m looking forward to the eventual publication of Jeffers’s project.